The fashion industry revolves around extraordinarily tall and unseeingly thin women. The thin body type in itself is a style that the population has adapted to, but with every era there is a new trend. The population has just begun to see the allurement of having a large derriere. This is something that is a positive step in a healthy direction for girls. In this week’s fashion news there were four stories about shaming people into being skinny. The first was a behind the scenes look at the Pennsylvania headquarters of Lilly Pulitzer. The Cut shared a photo gallery of their offices and some vibrant mood boards. In one of the workers cubicles that was featured showed several cartoon drawings of fat shaming. The images read, “Just another day of…fat, white, and hideous…You should probably just kill yourself.” Another image said, “Put it down, carb face.” These images were in an employees individual cubicle, but it reflects extremely poorly on the brand. The brand caters up to size 14 in stores as well as plus size online and many displeased fans took to Twitter. This is definitely something that the company should have monitored or at least inspected before a behind the scenes photo opportunity came into the office. 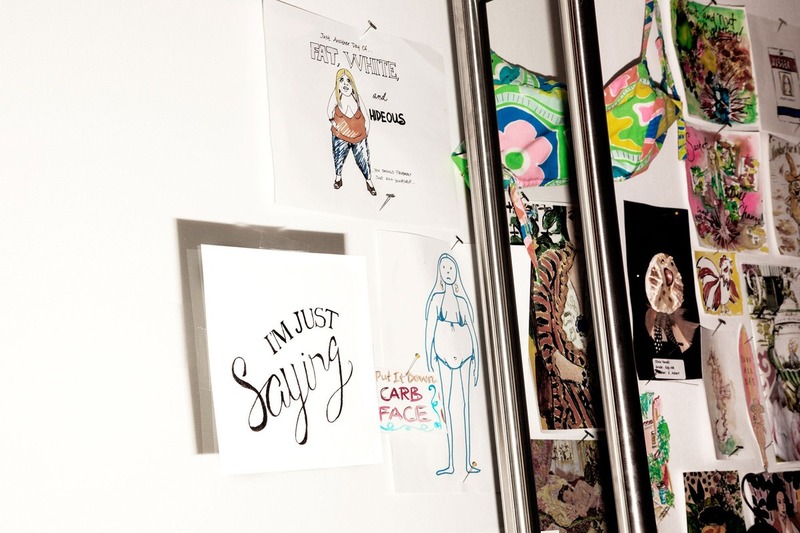 Lilly Pulitzer basically came out with a statement saying that it was the thoughts of one employee and does not reflect on how Lilly Pulitzer views body image. That person in my opinion should be on suspension or fired. Not because of the action alone necessarily, but because of all the repercussions it caused. 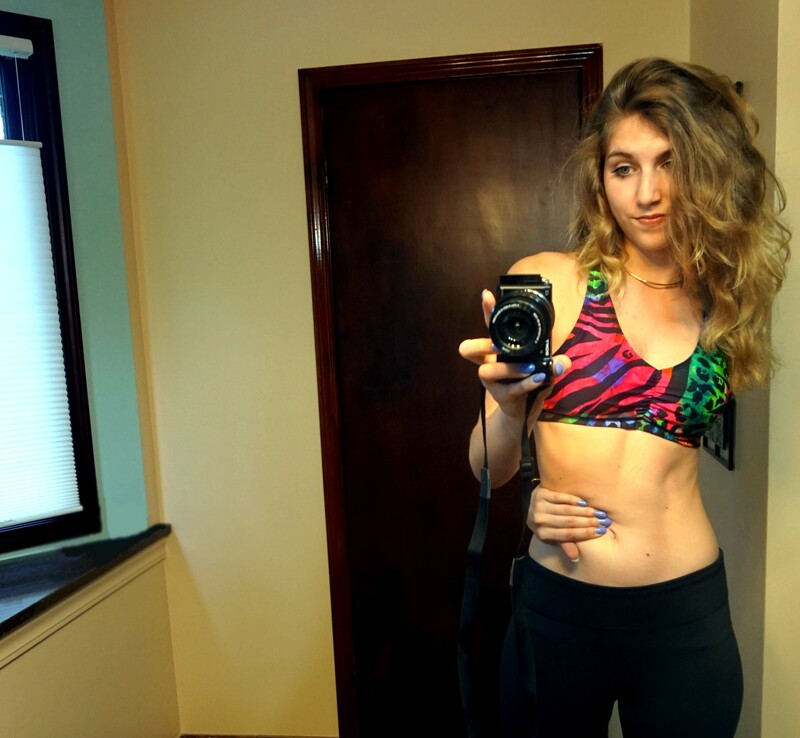 The newest skinny testing craze is called the Bellybutton Test. In this test you wrap your right arm behind your back and try to grab for your belly button. If you can not reach your belly button you need to lose weight. This so called test originated in a random study and went viral in Asia and is now all over Instagram. This test is completely ridiculous because there are so many factors in this test like how long your arms are, how flexible you are and the plain fact that this test was made up. I took it upon myself to try out this test. I am very flexible naturally especially since I have double jointed elbows and shoulders. I figured this would work to my favor extremely, but it did not. It took a lot of effort and I also wasn’t sure if I was trying too hard. Should I be relaxed? Or reaching for my life type of thing? Either way this test is pointless, but it may be the thing backing up your Instagram feed soon. This week Lauren Conrad’s lifestyle blog has gained a few new rules. The blog will no longer include the words “skinny”, “thin”, or “slim”. Instead the blog will be using words like “fit”, “toned”, and “healthy. This is part of their June Shape Up theme for the blog. These rules have definitely gained some attention for LaurenConrad.com and are a positive step in the right direction for body image concerned young adults. In the U.K., the advertising standards authority has taken a stance against the new Yves Saint Laurent ad. They have banned the ad from being shown within the U.K. The image displays a woman whose arms are nearly the same size as her very thin arms. You can also see her rib cage in the low cut of the shirt. The ASA in the U.K. claimed this ad to be irresponsible. I say good for them this isn’t a healthy look for anyone. As Lauren Conrad has proclaimed we should be more focused on being fit, healthy and toned. Loved this! Great writing and post!